Fold an A4 sheet of paper in half, and then in half again. Unfold the paper once so that you have an A5 size with a fold mark down the centre. With the folded side furthest away from you, fold the top corners down to meet in the middle. Fold the bottom flaps up. Slip your thumbs into the open side and pull the hat shape out to form a flat diamond shape. Fold the bottom corner up to the top. Turn the diamond over and fold the other side up too. You should have a triangle. With the open side towards you, slip your thumbs in and pull the triangle out to form a flat diamond shape. Pull the top flaps out to the sides. To download a bigger version, right click on "Boat Origami template" and "save link as"
Fold a square piece of paper in half twice and unfold it again so that you are only left with the fold marks. Fold each corner into the centre. Turn the square over and fold the corners to the centre again. Turn the square over again and push your thumbs and forefingers through the flaps. Gently manipulate the paper to form the fortune teller. To download a bigger version, right click on "Fortune Teller Origami template" and "save link as"
On a square piece of paper, cut from the corners towards the centre. Do not cut all the way to the middle. Bring each corner in to meet in the middle and secure the four corners with pin tack. Attach to a skewer stick. 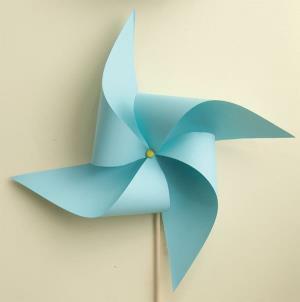 To download a bigger version, right click on "Windmill Origami template" and "save link as"